For several months, I have been filling virtual shopping carts full of lovely pendant lights only to have so much trouble narrowing it down. 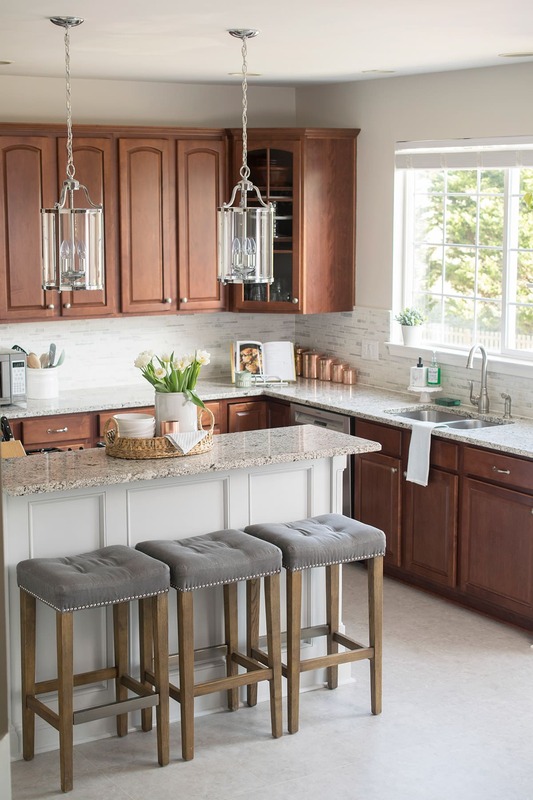 That seems to be a theme when shopping because I love great kitchen accessories like beautiful bar stools, night stands for small bedrooms, and vanity lighting ideas that I put together. Just so many beautiful options, but I was on the hunt for something very specific in size. Of course, I finally did find the perfect size and shape (on sale!) and I knew that they were THE pendants. They look soooo gooooood! 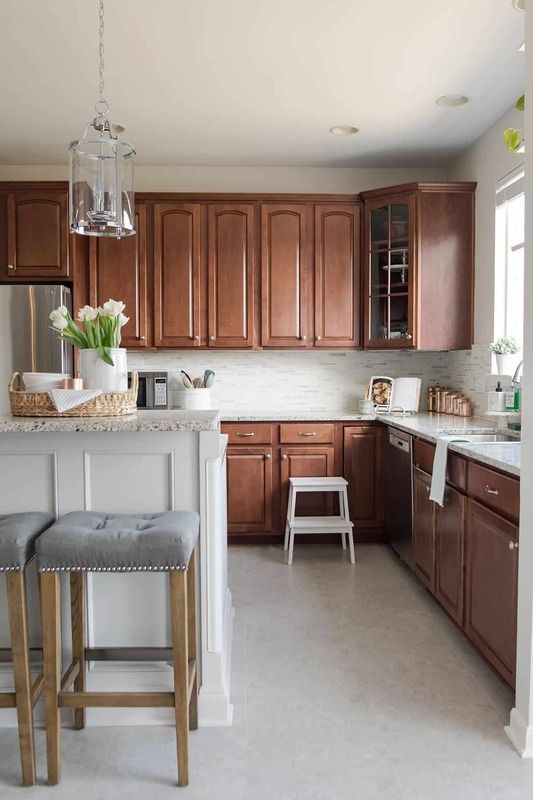 But if you are thinking about adding some new pendant lights over a kitchen island that are not super expensive, I thought you might like to see a few options that I have found. I’ve rounded up some of my favorite pendant lights for under $150 in case you’ve needed some direction with new lighting in your house too. There are so many the coordinate deliriously with a variety of home styles but all are gorgeous! There are a few basic rules to spacing pendant lights. First, they should be around 30-36 inches off the top of the bar. Lights should be placed about 12-18 inches from the edge and about 12-18 inches apart or even with the edge. To make it easy, divide the length of your counter top to how many lights you want to add +2. Then you know approximately how to space them. Our bar lights hang a bit lower, 26 inches, because the bar is already raised 7 inches from counter top height. I also gravitated toward over-sized lights so I used two and spaced them further apart than one usually would. Do you have a favorite? It was a really tough choice for us, but I think we made the right one for our budget and style.